Gardeners may choose organic growing techniques for several reasons. Some do so because they believe organic gardens and landscapes are better for their health and the health of their families. Others grow organically because they believe this practice is better for the environment. And some gardeners believe organic gardens are more productive and beautiful I grow organically for all these reasons and because, when I do so, I become part of the legacy of people who honor the health of the Earth and all its inhabitants by using growing techniques that are safe and sustainable over the long term. 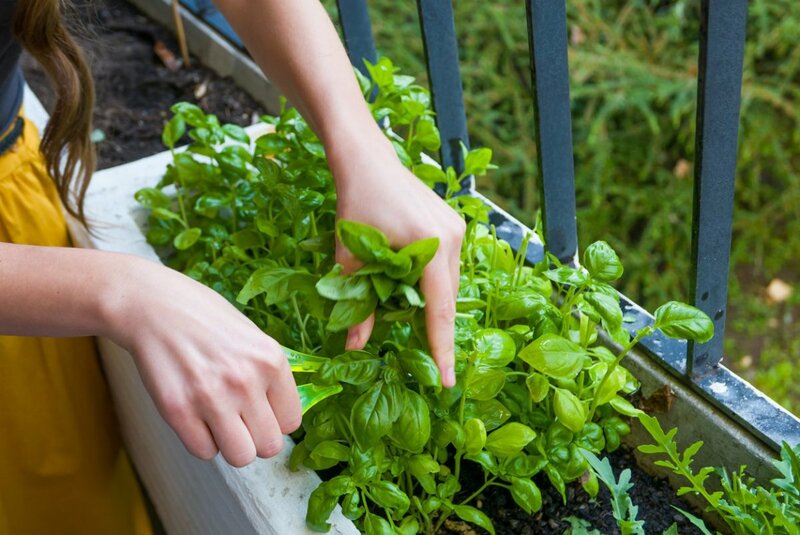 This chapter outlines some of the reasons why gardeners choose organic methods. If you're unsure about committing to organic growing or you need information to help you make the case to naysayers, this chapter can help. Probably the main reason why many people garden organically is to provide their families with safe, wholesome food and a toxin-free environment. 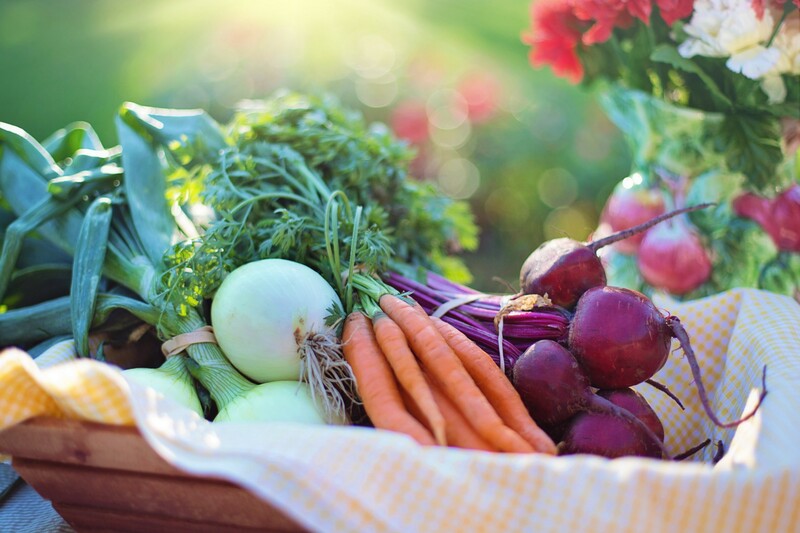 Many gardeners believe that organically grown foods taste better, and recent studies show that organically grown foods may have higher nutrient levels than conventionally grown counterparts. Organic growers also steer clear of genetically modified plants, the health risks of which are still unclear. When it comes to health and safety, pesticides pose the greatest concern in gardening. Americans use about 4.5 billion pounds of pesticides each year in yards, gardens, homes, farms, and industry, about 1 billion pounds of which are synthetic pesticides. 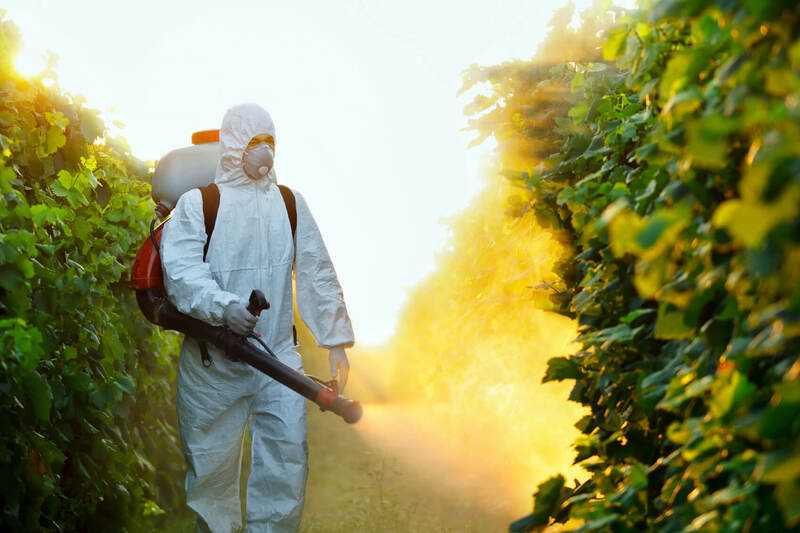 Despite a complex system of rules, regulations, and labeling requirements, thousands of people suffer acute pesticide poisoning each year. 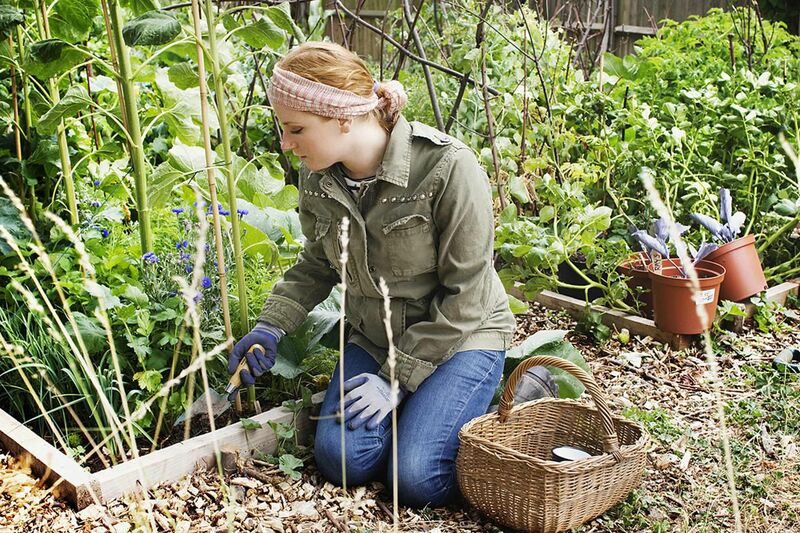 Like most gardeners, organic growers may occasionally need to use pesticides, but they choose them carefully, opting for the least-toxic organic sprays as a last resort-only after other control measures have failed. Many people assume that organic means nontoxic, but that's not really correct. Some commonly accepted organic pesticides are, strictly speaking, more toxic than some synthetic chemical pesticides. But in general, organic pesticides, which are derived from plant, animal, and mineral sources, tend to be less toxic than synthetic chemical pesticides, which are created from petroleum and other chemical sources. More important, organic pesticides tend to break down quickly into benign substances, whereas synthetic pesticides can linger in the environment for decades. Many of the synthetic pesticides used today belong to a group of chemical compounds called organophosphates. They're used to control insect pests on fruits and vegetables, to combat termites, and to control fleas and ticks on pets. These chemicals work by interfering with the nervous systems of the pests. Unfortunately, organophosphates can also harm the nervous systems of animals and humans. In fact, they are chemically similar to the World War Il-era chemical-warfare agent known as nerve gas. In humans, symptoms of overexposure include nausea, headache, convulsions, and in high doses) death. Diazinon and chlorpyrifos, two recently banned pesticides discussed in the sidebar "How unsafe pesticides remain on the market," fall into this cate gory. Unfortunately, since diazinon and chlorpyrifos have been phased out, the use of carbaryl, an insecticide that also damages the nervous system, has increased. The EPA classifies this product as a likely human carcinogen. want to know more about Garden then go to our website. Despite extensive testing by chemical companies in controlled trials, it's hard to know exactly what pesticides will do out in the real world. Ponder these statistics: The EPA now considers 60 percent of herbicides, 90 percent of fungicides, and 30 percent of insecticides to be potentially carcinogenic able to cause cancer). A study conducted by the National Cancer Institute found that farmers exposed to chemical herbicides had a six-times-greater risk of developing cancer than farmers who were not exposed. Scary stuff. No matter what type of pesticide you're using - organic or synthetic - you must follow label directions to the letter. Read all warnings, wear recommended protective gear, and use only as instructed. Taking these precautions isn't just smart, it's also the law. Greece There are a host of gardening characters in Greek literature. They range from clownish boors, stinking and slurring, to brave and loyal citizens to gentlemen/farmers, courtiers, and kings. There are poetic depictions of famous gardens like the description of the fruitful garden of Alcinous, the fine farm and garden of Laertes in Homer's Odyssey, and the evocative agrarian images on the shield of Achilles in the lliad. Comedy boasts farmers of every stripe - from the clever farmer who "overcomes all adversities ... and manages to impose his comic vision on reality in Aristophanes' comedies Peace and The Acharnians to the narrow-minded and stubbornly ignorant characters of Middle and Late comedy like Menander's Knemon. There are also texts that offer detailed descriptions of the best practice for farm and garden and illustrate what is needed to run a successful estate. Hesiod and Xenophon produced two extant treatments of rural life, the Works and Days and the Oeconomicus. These works locate the farmer within a larger cultural context and help us understand some of the meanings attached to an agrarian life. Works and Days is an 800-line poem about farming, composed in the eighth century BCE. It is addressed to the poet's brother, with whom Hesiod had legal struggles over the division of their family estate. The substance of the poem is a persuasive lecture on the way to a just and successful life. The poetic action moves from city life, with its corrupt judges and gossiping smiths, to the country where the just farmer does his work in good season, does not impose on his neighbors, and assists those in need. Hesiod as a historic figure is a matter of controversy, yet whether there was a single poet or a group of poets collected under that name, the extant Works and Days remains as evidence of a set of opinions about the relationship of men to the divine and to the world at large. It is also the clearest extant expression of the mores of rural life in Greece from the pre-classical period. Later writers treated Hesiod not only as a historical figure but, along with Homer, as a founder of Greek classical culture. Because Hesiod was drawing on an oral tradition, we have no way to evaluate the originality of his contribution to the genre of gardening lore. However, his texts give expression to the little documented values of the rural communities of Greece during a period for which we have scant literary evidence. The community portrayed in Works and Days is one that is resentful of urban authority when it interferes with village life (cf. the bribe-devouring judges) and is mindful of the rules that govern its society and the productive year. The way to prestige in this milieu was to be a good grower and to build a surplus that allowed for generosity toward less prosperous neighbors. This goal could only be accomplished by forsaking the temptations of the town, litigation, and gossip and concentrating on the life of the soil, hard work, and sound practice in accordance with the laws of the gods. When we first encounter Hesiod's brother Perses, he is bribing the corrupt judges and running through his inheritance (even though he has wrongly received more than his share), and yet he has nothing to show for his effort. Thus, much of the dramatic force of the poem is derived from the contrast between the life of the industrious farmer and that of the lazy, litigious, agora-loving city dweller (the agora being the civic and administrative center for the surrounding countryside). The poet has created an ethical geography? where physical distance from the farm and the work of the soil equals moral distance from the good and the just. It is possible, the Works tells us, for Perses to rehabilitate his reputation and regain wealth through the simple remedy of hard work and sound practice. We have seen that the narrative framework of the poem is driven by the attempt by Hesiod to save his brother from poverty and persuade him to return to country life. He says, "Work, you stupid Perses, at the tasks that the gods have set for men to do. 3 In setting the stage for his argument, Hesiod first details the religious/mythological background behind man's need to labor through the stories of Prometheus, Pandora, and the Ages of Man. This mythological history provides the underlying principle for agricultural pursuits, the race of iron never rest from labor due to the ire of Zeus, but "neither famine nor disaster ever haunt men who do true justice; but lightheartedly they tend the fields which are all their care. Want to know more about us then see the link. The rules of the village, where the details of proper conduct are strictly laid out, are ordained by the will of Zeus. Hard work on the farm is the formula for the just man and the only strategy that will not arouse the anger of the gods. The gods reward the man who builds his wealth honorably and through hard work. He lays low the man who seizes wealth unjustly, through litigation, robbery, and war. The calendar framework of the productive year used in Works and Days emphasizes how the annual cycle reflects the will of Zeus. Actions please the gods in their proper sequence and in due season. Understanding divine will helps the farmer minimize error and avoid the dire consequences of poverty. The theme of divine timeliness is reinforced in the sailing section where, while clearly despising seafaring himself, Hesiod tells us when, by the will of the gods, it is safest to travel on water. Works and Days ends with a series of lucky and unlucky days, closing with the idea that the gods determine right and wrong and it is man's lot to discover their will. Writing in the fourth century, Xenophon (431-350 BCE) addressed a different world to that of Hesiod's rural farmer. Although the majority of men still made their living from farming, society and literature had changed. Cities, trade networks, and literary production were flourishing. Politics affected the countryside as many city-states pursued expansionist policies that were changing agrarian life, drawing off agricultural labor and damaging productive fields during conflicts. Cultural life was also changing as festivals that featured dramatic production spread outward from Athens to other parts of Greece and created a forum for a common culture. Unlike Hesiod, Xenophon was born near Athens into an upper-class family. He knew the wealthy elite of Athens and was given an education and the advantages of his class. He was a disciple of Socrates and wrote dialogues including an Apology and the Symposium. While he is the author of manys, perhaps his most famous work is the Anabasis, the story of the Greek nercenary escape through enemy Persian territory in which he took part. In addition to being a follower of Socrates and a soldier of fortune, Xenophon was also a farmer, running an estate in Scillus, south of Olympia The Oeconomicus, dated after 401 BCE, is organized as a dialogue and features Socrates and successful gentleman/farmer Ischomachus. While the meaning of this dialogue is open to (vastly varied) interpretations, the discussion is putatively intended to illustrate for his friend Kritoboulos the ways and means to profitable estate management. It contains a wealth of detail about domestic economy during the period, as well as thoughts on the qualities necessary to run a successful farming enterprise. The text treats agrarian pursuits in several contexts with reference to famous exemplars and offers the reader practical advice. It is in the Oeconomicus that Xenophon develops the theme of the Gardener/King with respect to both Cyrus the Great and the pretender Cyrus the Younger. Xenophon tells us that the great Persian king valued horticultural pursuits as highly as military matters and considered them essential to the state. He describes how Cyrus rewarded courtiers who brought new land into cultivation. In addition, the king himself spent time in his gardens whenever possible and took credit for being an accomplished gardener. Xenophon goes on to tell how he believes horticultural knowledge is an indication of leadership and ability. As an example, he describes the Spartan General Lysander's visit to Cyrus the Younger's garden paradise in Sardis. When Lysander admired the skill with which the garden was constructed, Cyrus was able to boast of having done the planning and the planting himself. Xenophon develops several ideas concerning cultivating the soil as part of estate management. Book 5 is a list of all the pleasures and benefits that come to the farmer either through his labor or its fruits. These include health, fitness, gifts for the gods, wealth for men, and lessons in integrity, since earth teaches justice to those who have the ability to learn from her." Farming also teaches men leadership and corporate action skills that translate into successful soldiery. Continuing the theme developed in Hesiod of hard work as a means to wealth, Xenophon insists upon the ability of the hard worker to succeed despite gaps in his knowledge or mistakes in his practice. Diligence is the key to success. At length he describes how, while many things may go awry on the farm, the causes of the farmer's failure are more often from neglect than from ignorance. It is through inattention that all can be lost. For example, he points out that the best way to understand the soil and what will grow best is simply to look at your neighbor's garden and see what he is growing. Even waste ground can be figured out this way, since the weeds will indicate the cultural conditions just as well as garden plants would. Hesiod and Xenophon, authors from vastly different backgrounds and historical contexts, express how cultivating land was necessary, beneficial, and pious. Both authors emphasize the advantages for the individual and for his community. They also insist on the religious righteousness of the practice and the sanction of the gods. These themes recur in Rome (with some modifications) and were repeated by Roman authors from the days of the Republic to the late Empire.